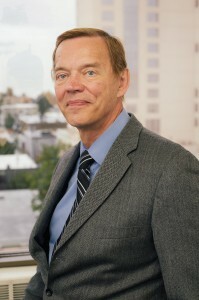 Mr. Vasauskas began his legal career as an Assistant Public Defender in Albuquerque, New Mexico and became an Assistant District Attorney in Estancia, New Mexico from 1981 through 1985. After moving to Alaska, Mr. Vasauskas joined the Law Firm of Stone, Waller & Jenicek in 1987 and continued to practice with that firm and its successors until April 2007 when he joined the firm of Holmes Weddle & Barcott. Mr. Vasauskas’ experience in Alaska has been in the area of civil litigation, emphasizing insurance defense, coverage and related issues. Mr. Vasauskas practices in the areas of personal injury, property damage and coverage disputes involving all lines of insurance, including property, general liability, automobile and professional liability. Mr. Vasauskas is a member of the Alaska Bar Association.